After several leaks and rumors, the BlackBerry Ghost, a bezel-less flagship smartphone from the Canadian smartphone maker BlackBerry is all set to be launched in India in the next two months. The device had earlier surfaced in February and since the initial leaks, there has been no new information about the device. Now, a new leak from Evan Blass has revealed that the BlackBerry Ghost will be launched in India this summer, which means that the device will be launched either in June or July. There has been no announcement regarding this from BlackBerry. Optiemus Infracom, the licensee of BlackBerry in India is working on the phone and had earlier mentioned that they are planning to launch new phones under the BlackBerry branding in India in the next two quarters. Optiemus Infracom had earlier designed and manufactured the BlackBerry KEYone in India, Nepal, Sri Lanka and Bangladesh. Not much is known about the BlackBerry Ghost yet. Evan Blass in his tweet has mentioned the Ghost will feature a dual camera setup at the back with Optical Zoom and low-light image enhancement. 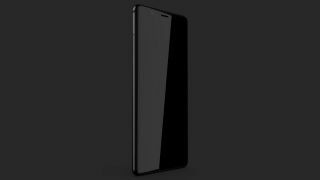 The main highlight of the BlackBerry Ghost will be its completely bezel-less display, something which Vivo and Lenovo are also working on with their Apexand Z5 smartphones respectively. The Z5 is scheduled to launch on 5 June and the Vivo Apex is expected to launch on 12 June. BlackBerry is also scheduled to launch the KEY2 at an event in New York on 7 June.